With the NAB announcing they’ve cut their five-year fixed-rate by 29 basis points to the 20 year low of 5.55 per cent, you may be thinking now is a good time to make the switch and fix your home loan’s interest rate. However, before you decide, take some time to research the different types of home loans available in the marketplace. For instance, if you are a great saver and well on top of your mortgage, a variable rate home loan with a mortgage offset account may be a better option for you than fixing the interest rate. A mortgage offset account is essentially a transaction account that’s linked to your home loan. Here’s how they work: if your home is worth $300,000 and your home loan has an offset facility with a balance of $20,000, instead of receiving minimal interest on the deposit of $20,000 and paying the full whack of interest on the total balance of the mortgage, with an offset facility, the interest on the mortgage is only charged on the first $280,000 ($300,000 less $20,000). Over time this can mean saving thousands of dollars in interest. If you have a $300,000 loan with no mortgage offset account at an interest rate of 7 per cent for 25 years, your total interest over the life of the loan would be $339,101. Take the same rate and loan amount but with $20,000 in an offset account, and the interest would fall to $316,695 – a potential saving of over $22,000 in interest over 25 years (subject to rate changes and banking fees). 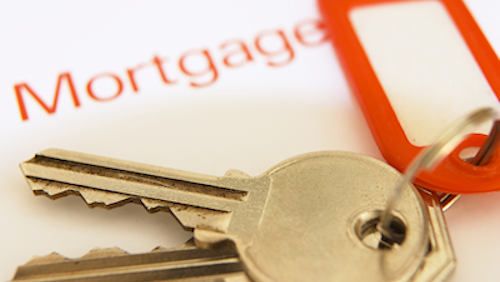 What are the Benefits of Having a Mortgage Offset Account? In addition to incurring less interest, an offset facility also has some extra benefits. Firstly, a mortgage offset account works just like a transaction account, in that it allows you flexibility to deposit your salary and withdraw from the account as many times as you wish without incurring any access fees. Secondly, because you don’t earn any compound interest on the $20,000 in the offset account, the Tax Office does not include the $20,000 as taxable income, meaning the money remains tax-free. Are There Any Disadvantages to Having an Offset Account? A mortgage offset account can be a great way to pay off your home loan, but its benefits are swayed towards homeowners who are good savers and have a considerable pot of gold. Most offset accounts are only offered with variable rate home loans that contain a higher interest rate or with loans that come with a lot of bells and whistles. This often means you will have to pay extra in banking fees and charges, which can negate the tax benefits of an offset facility if you don’t have a lot of cash in your account. For this reason, if you tend to only have around $1,000 in your offset account at any one time, you may be financially better off with a basic home loan with no offset facility but a low interest rate. Weigh up the pros and cons carefully to decide if it is right for your situation. If you are stuck on what to do, speak to your bank or a qualified financial advisor.